Most personal injury cases settle outside of court. Although the statistics vary among sources, Cornell Law Faculty Publications reports that the majority of civil cases that succeed do so after both parties have agreed on a settlement, while most failed cases occur because of a pretrial dismissal. Even if your case does not go to trial, the settlement negotiation process could be incredibly complicated. This is particularly true if the insurance company or the defendant disputes the legitimacy of your claim. Even if you have sufficient evidence to prove negligence and liability, you might overlook or underestimate the costs of ongoing medical bills and loss of future wages. This is where an accident attorney can help. If you were injured due to another person’s negligence in Kentucky, contact the Troutman Law Office. We will calculate your damages and help you fight for the maximum compensation. Call to schedule a consultation with an accident attorney in Lexington. When the negotiations begin, you should already have a settlement amount in mind. Your attorney can help you calculate a fair number before you meet with the adjuster. Although you should not share your minimum acceptable amount with the adjuster, it is important to remember this number during the negotiations. At the end of the day, you do not want to accept anything less than what you deserve—even if you are under pressure due to mounting medical bills and lost income. It is natural to feel stressed about your financial health. In such a situation, you may want the negotiations to end as quickly as possible, but you should never accept the first offer. Starting with an incredibly low number is a common negotiating tactic to determine just how impatient the opposing party is to get cash in hand. If the adjuster is taking a while to respond to your offer, you may feel inclined to submit a new offer that is just a little bit lower. This is a poor negotiating tactic, though, and it will give the other party the upper hand. Your attorney will remind you that waiting for a response is all part of the process. No settlement offer is final until it is in writing. As soon as you and the adjuster agree on an offer, make sure you get it in writing. Your attorney will help you draft a confirmation letter to make the agreement official. 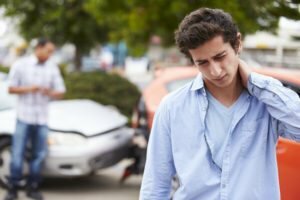 If you sustained devastating injuries in a collision with an inattentive or reckless driver and you would like to negotiate for compensation, turn to an accident attorney from the Troutman Law Office. Call to schedule an initial consultation with a Lexington injury lawyer. 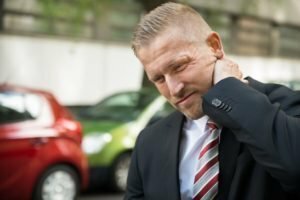 Visit USAttorneys.com to learn more about car accident claims in Kentucky.